Libraries lead us through a flood of analogue and digital information, can be a platform for exchange, space for encounters or social anchors in the city. With our series “Future Libraries” we shed light on challenges, trends and examples of success around the future of the library. Ville Vaarne, communications manager of the Finnish Library Association, has received over 200,000 hits with a Youtube video about US President Trump. For Vaarne the proof that social media is a must for libraries. Mr Vaarne, in your opinion: What kind of work was communication for libraries once, compared to now? In addition, what is your approach in communication? When I got here, we first started to think about how we can use social media more differently. Because I have a background in television productions, I had this idea to do videos. Now videos are reaching most people so far in our communications. I am happy how we have reached a different, more general audience with this. Why did you choose that medium? What kind of reactions do you get? I love the idea about videos because in my opinion, libraries are still seen as a static place and videos are dynamic. They are about things that are happening and that are dynamic and interesting. What makes social media videos so special is, that they get shared organically when people find something special about them. Social-Media-Videos have been around for a few years now, but they are still something of a new thing. And I love the idea to help the library field to be a part of this scene. It's a nice challenge for me as a professional to make these videos, because I really need to put my imagination into the work and think about how to make the library field interesting enough so that social media would start to share those videos organically. How should the communication of libraries change in the age of social media in general? Should they be represented there? And how? Libraries are in a constant process of rethinking themselves due to digitalization. Because of that, social media becomes a natural part of this whole question. It's a small part but an important one. There are over 700 public libraries in Finland for example. I think, every one of them should at least think about what they are doing on social media. If they are relevant to the community there. Is there some way we could increase our presence in social media? That is one of the ways that libraries should rebrand themselves. It challenges the libraries to rethink their positions in numerous different ways. At this point libraries have a beautiful opportunity to increase their personal connection with their audience through social media. For a long time the raison d'être for libraries were the media, the stock of books and so on. Now, in the course of the process that you describe, everything is changing and they need to legitimize themselves in different ways, because I can read books anywhere. Isn’t it the platform-character for language that gets more important, the dialogue on an eye-to-eye level with the readers? Yes, exactly. At this point, I think libraries have a beautiful opportunity to increase their personal connection with their audience through social media. Are the videos a suitable tool to reach attention? Exactly, they are a tool to sort of make people think about libraries more. Libraries are such a cornerstone and vital part in our society in Finland. However, they are also taken for granted. What I want to do, I want to start making people appreciate library more in a active way, become aware of the importance of libraries in Finland. But the skills are on our side of the table, right? If we make people actively think about libraries and see them in a positive way, the goal is achieved. So it's basically advocacy for the the library as an institution and a public good? What are the reactions here? Are there people who are sceptical? I'm pretty sure that there are people, who are sceptical. In the library field there is a divide. There are people who are happy about the library taking on a more active role. Then there is a group of people who would say that libraries should be neutral, don't make social media videos about, for example, the refugee crisis. I made a video about how the libraries are supporting refugees. I think everybody agrees that we are to support the refugees. Still some would argue that libraries as a neutral place should not take a position in this kind of matter. I haven't received lots of criticism directly, but I am pretty sure it exists. There are people who are happy about the library taking on a more active role. Can you tell me how high the coverage of the Donald-Trump-Video was? It's the most successful one, right? Over 200.000 views. I just really wanted to connect to Trump and his war on literacy and intelligence and I wanted to use the video as a tool to promote the very things that he is fighting against. Trump as a character is the opposite of what a library represents. How much time did it take between your initial idea and the moment you went online? It was a matter of a couple of days. However, I would say that in the end coming up with the idea was the key thing, not so much the execution. It was the idea that I wanted to talk with the audience about. Therefore, it took me a long time to get the idea and I needed other people to spar with to shape the idea. When somebody says, "we do not have this kind of money" what do you respond? Was it that costly, in terms of money? There are fears that you would have to pay ridiculous sums of money and that nobody will ever have the money to do something new, something that is not in the normal budget. But for example for the Trump video, I hired a professional voice actor to do the imitation, some guy from the US, through an internet service called "fiver" where you pay five US-Dollar for different kind of works. Overall, I think I paid about 50 dollars for the voice actor. The software is adobe licenced, so it costs 50 Euros a month. Overall the budget was, let's say, a 100 euros for one video. That’s not much. 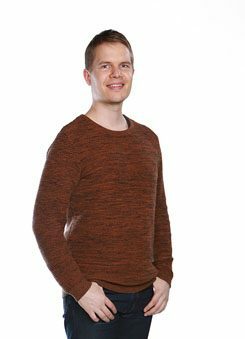 Ville Vaarne | Photo (detail): private Ville Vaarne has been working for Finnish television and magazines as a journalist before joining the Library Association one year ago. His special skill is making short videos for social media. Leonard Novy conducted the interview. He is a journalist and political scientist, co-director of the Institute for Media and Communications Policy and co-editor of the multi-author blog CARTA. Goethe-Institut, Leonard Novy. This work is licensed under a Creative Commons Attribution – Share Alike 3.0 Germany license.